Q2. 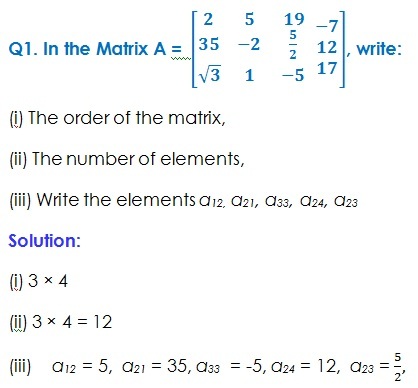 If a matrix has 24 elements, what are the possible orders it can have? What, if it has 13 elements? No of orders = 8. Q3. If a matrix has 18 elements, what are the possible orders it can have? What, if it has 5 elements?